Buy this and your school gets £6.50 to spend on books Orders of £10 or more will earn 25% of your order value back in Scholastic Rewards for your school. Beautiful short biographies with glorious colour illustrations. Proof that you needn’t be big to dream of big things! 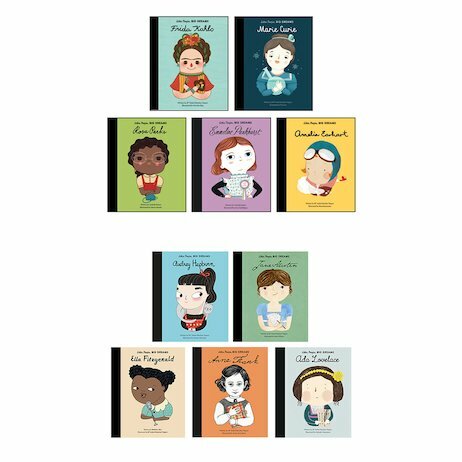 The girls in these books didn’t all come from rich families or privileged backgrounds. They mostly started out as normal kids, each with a head full of big dreams. What were their early years like? How did they make their mark on the world? How have their actions touched your life? Find out and get inspired!